Introducing New Jersey's newest and largest USDA Commodity Shipper, Maschio's Trucking LLC. Maschio's Trucking started delivering commodities in September 2011. We have grown to service over 200+ schools throughout the State of New Jersey, becoming the State's largest commodity shipper. We load out of both Port Newark and Vineland warehouses and service independent and managed school districts. Our goal is to provide you with a dependable trucking service at a very competitive price. Maschio's Trucking is fully compliant with all Federal and State Department of Transportation regulations. Our drivers undergo random drug testing and have gone through Morpho Track, which is mandated by the State for those employees within the education system. We are proud to say that our drivers are courteous, hard working, and accident free. Maschio's Trucking also offers trucking services for those districts who purchase and store non-USDA commodity products in various warehouses. We are also a proud sponsor of the New Jersey School Nutrition Association. If you are interested in learning more about Maschio's Trucking's reliable services and our very competitive rates, please reach out to us today! 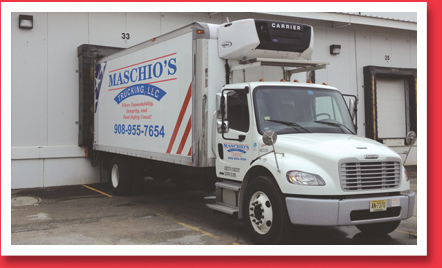 At Maschio's Trucking Our Mission is to make Food Safety and Dependability our primary focus. Maschio's Trucking runs with a new fleet and all our trucks are temperature controlled to maintain the cold chain from the warehouses all the way to your school's refrigerators and freezers. Our trucks have GPS tracking and monitoring systems to ensure your products arrive safe and on time. 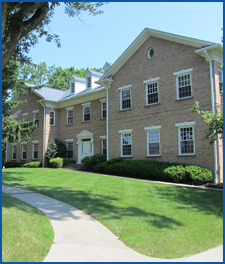 We maintain an excellent standard with the New Jersey Department of Agriculture Food Distribution Program. Our dedication to the integrity of our services has resulted in 100% Client satisfaction. In the end, it's where Dependability, Integrity, and Food Safety count!